Our team of experienced trial attorneys and paralegals effectively represent Federal employees in the Southeast, across the United States and wherever Federal employees are located throughout the world. Adam grew up on the New Jersey shore. He graduated from Georgetown University in 1971 and earned an MBA from Pace University in 1976. From 1971 until 1982 he worked for the U.S. Department of Labor and the Federal Labor Relations Authority in New York and Atlanta. During this period, he conducted representation hearings, supervised union elections, and conducted civil and criminal investigations under a wide variety of federal labor laws. He gained unique experience in a wide variety of federal labor law. He spent two summers in West Virginia working on the Department of Labor’s rerun of the officers election of the United Mine Workers. Adam was acting Regional Director of the New York Region of the Federal Labor Relations Authority on the day in 1981 when the Air Traffic Controllers struck. During his federal career he also supervised attorneys and investigators who were responsible for administrating a broad array of Federal labor laws. In 1981, while still working full time for the FLRA, Adam started law school in the evening program at Fordham Law School in New York. After completing his first year, Adam left government employ and moved to Atlanta to attend Emory Law School, from which he graduated in 1984. During law school he clerked with three nationally recognized employment law firms. After law school he started as an associate Mack & Bernstein, advanced to partner in 1989 and eventually headed that firm’s litigation practice. During the nine years he was with Mack & Bernstein Adam represented employers ranging in size from Fortune 50 corporations to small local companies in all aspects of labor and employment law. Adam continued to represent employers in employment matters with Wagner & Johnston from 1991 to 1993 and Wimberly & Lawson from 1995 to 1997. Adam was out of law school a year less than a year when he began representing Federal employees in defending adverse actions and prosecuting discrimination claims. His experience as a federal employee and a federal manager, coupled with his expertise in federal sector labor and employee relations, uniquely qualified him to represent federal employees. His federal employee practice grew during the 13 years he spent with management labor law firms. His litigation experience defending employers sharpened his litigation skills. By 1997 his plaintiff’s practice had grown so large that it left little time for representing employers. Because of this he formed Adam J. Conti, LLC to provide an optimal environment for his unique practice. Adam has long been an advocate of Alternate Dispute Resolution in the employment setting. He has served as an arbitrator with Fulton County Superior Courts since 1988 and he is a certified as a Mediator and Arbitrator by the Georgia Office of Dispute Resolution. He regularly serves as an Arbitrator with the National Arbitration Forum and several other ADR providers. In addition to the Georgia Bar, he is member of the, the American Bar Association, and the National Employment Lawyers Association, where he serves as member of Federal sector law committee. Adam is admitted to all federal and state court courts in Georgia, the Court of Appeals for the Federal Circuit and the Federal District Court for the Northern District of California. He has appeared in numerous other courts on a pro hac vice basis and has represented federal employees in administrative proceedings in most major U.S. cities and overseas. He has been to Japan on cases on six occasions. Adam and June live in Midtown Atlanta. Adam is an avid amateur photographer, reads extensively and frequently attends theater. He also loves music and fine food and tinkers with computers and electronics. Michael has been practicing law since 2000 when he graduated from Georgia State University Law School. He joined Adam J. Conti, LLC in 2004 where he practices labor and employment law. Previously at Casey Gilson Leibel P.C. (now Casey Gilson P.C. 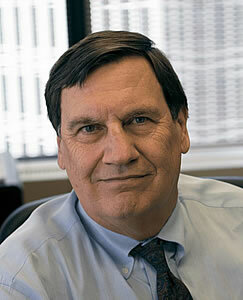 ), he worked in the areas of medical malpractice, personal injury, labor and employment law, and prisoner’s rights. He has successfully helped public and private sector employees (and a few private sector employers) with a wide variety of legal issues, including employment discrimination, sexual harassment, overtime pay, public employee free speech, Federal worker’s compensation, Federal retirement benefits, and Federal civil service protection. He is a member of the Labor and Employment law section of the State Bar of Georgia. Michael obtained his undergraduate degree in Political Science and History from Georgia State University in 1992. 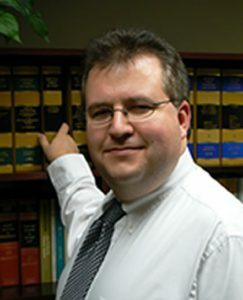 Prior to starting law school in 1997, he developed an interest in employment law while working at a job that involved interviewing witnesses to workplace misconduct. Michael has also worked a wide variety of jobs, blue collar and white collar, prior to his legal career, and he knows what the workplace looks like from the perspective of an ordinary employee. He is a happy bachelor and regularly attends Perimeter Church. We look forward to continuing to serve you through our web site and possibly providing legal representation should the need arise. Until then, please come back.